Burgers, beer, cocktails, and sports are what make Nicky Rottens the best sports bar in Coronado. We are the ultimate destination for your favorite sporting event, breakfast, lunch, dinner or a night out! 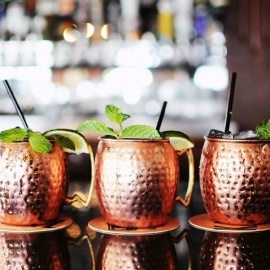 Enjoy casual dining or social gatherings with table service across from the bar, or grab a seat at the bar and watch as our expert bartenders shake up classic cocktails! Feel like getting some fresh air or people watching? Our outdoor patio area offers a perfect view of the passing action, as well as heaters to keep you warm on chilly nights. Nicky Rottens is also a premier venue for watching all your favorite sporting events. View the most popular games on a multitude of flat screen TVs visible from every seat in the house, including the patio! 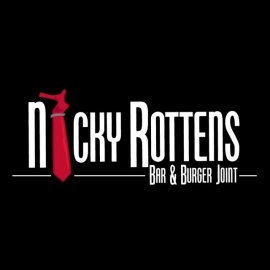 Nicky Rottens provides a classy, fun atmosphere that is sure to make you come back for more! At Nicky Rottens, we prepare each meal with the same care and high quality ingredients we would when preparing it for ourselves or our families because we (and often our families) also eat our food! All of our hand-pressed burgers are made from Grade A cornfed Midwestern beef, and we use only fresh organic vegetables, sliced fresh each day! Our sauces are made in-house every morning, to ensure that you receive the most robust, fresh taste possible. Burgers, beer, cocktails, and sports are what make Nicky Rottens San Diego the best sports bar in Coronado. Spacious gathering spot offers patio seating, plus casual eats & cocktails in a brick open interior. Kid-friendly brewpub with warm wood decor serving house beers & basic bar fare, plus steaks & pasta.